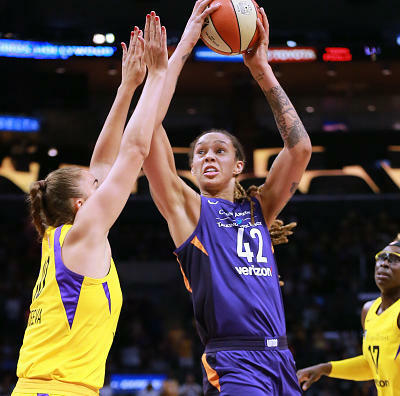 Steve Pimental provides the best DFS plays and optimal lineups for Tuesday's three-game WNBA slate. 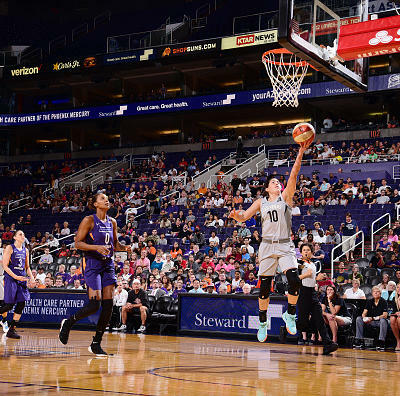 I have been accused of loving stars-and-scrubs lineups for the WNBA, and I don’t think that’s entirely fair. 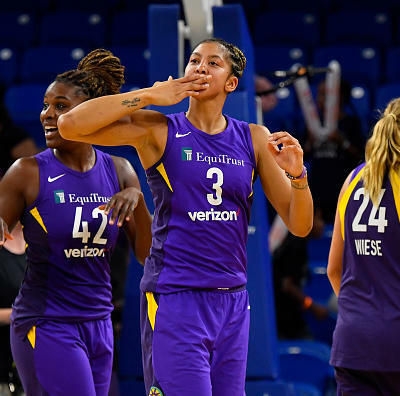 I like to think I am pretty open-minded when it comes to DFS WNBA lineup construction, but it seems like, more often than not, the WNBA slates tend to lend themselves to those types of lineups. Tuesday is not one of those days. The biggest reason I’m shying away from stars-and-scrubs Tuesday is it is nearly impossible to find any scrubs you can trust. With a week off for the All-Star break, there really aren’t any injuries to speak of, so we don’t get to plug in any injury replacements. There are a couple of punt plays I don’t hate for GPP lineups, especially because there are plenty of stars I would love to play, but I can’t find anyone cheap I trust for cash games. Another reason I often play stars-and-scrubs lineups is the lack of mid-priced WNBA players we can actually trust. 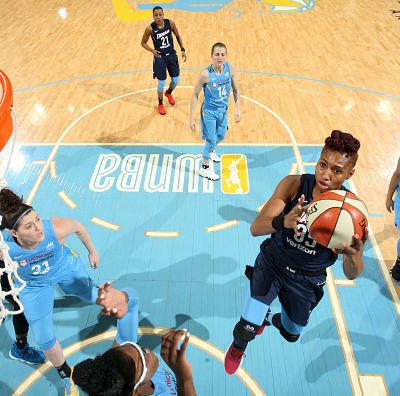 Mid-priced WNBA players tend to low-usage players on good teams like Rebekkah Brunson or fringe starters on bad teams like everyone on the Liberty outside of Tina Charles. 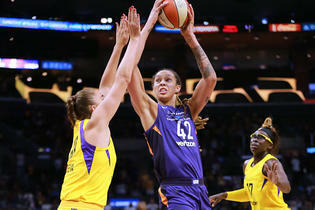 Every once in a while they will shoot 5-6 and score 30 fantasy points, but those games are awfully difficult to predict. There are some mid-priced players who are consistent enough for cash games or have a high enough ceiling for GPP lineups, and it just so happens several of those players are active Tuesday. I will still try to get at least one start in each lineup if I can afford to, but I doubt I will be able to afford more than one. 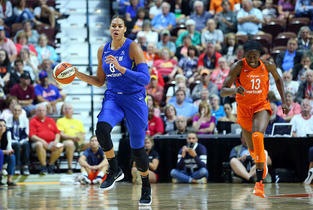 Liz Cambage, F, DAL $ 8,800 $ 13,100 Liz Cambage has scored at least 42.75 fantasy points on DraftKings in each of her last four games. She failed to top 29.5 fantasy points in any of the three games before that, so while I'm worried some regression may be coming, I doubt it happens in this game. Cambage is averaging 30.0 points, 7.5 rebounds, 4.5 assists, 2.5 blocks and 1.5 steals against the Sky this season. 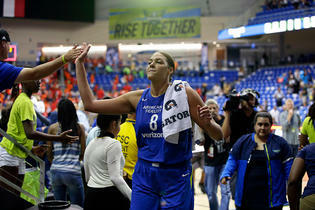 Elena Delle Donne, F, WAS $ 8,600 $ 12,600 Has actually been better on the road. Averaging 19.5 points, 10.0 rebounds, 3.0 assists and 1.5 blocks against Atlanta. 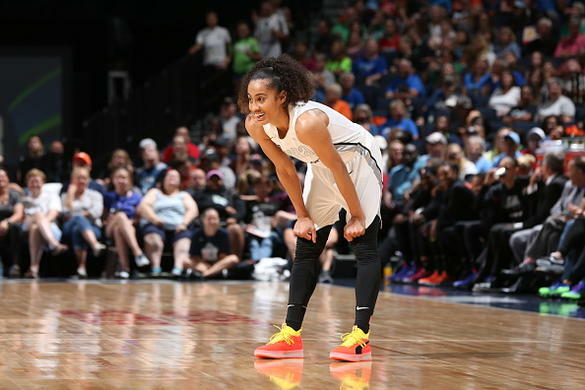 Skylar Diggins-Smith, G, DAL $ 8,300 $ 10,100 Skylar Diggins-Smith will likely always be a better GPP play, but she feels awfully safe against Chicago. 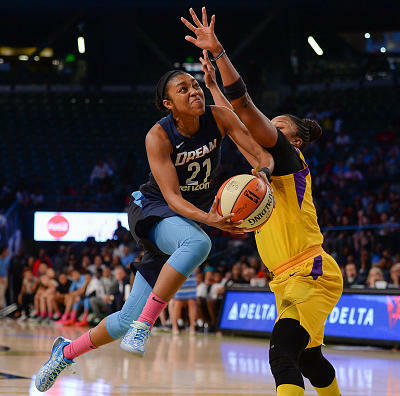 Diggins-Smith has scored at least 20 points in each of her games against Chicago this season. 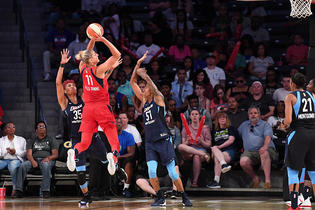 Courtney Vandersloot, G, CHI $ 7,900 $ 9,300 Vandersloot ended the first half on fire, averaging 15.0 points, 6.3 rebounds and 12.0 assists over her last three games. She had her first career triple-double against Dallas just 11 days ago. Jessica Breland, F, ATL $ 7,500 $ 8,500 I kept waiting for Jessica Breland to turn her season around, and when she finally did, she wasn't in any of my lineups. 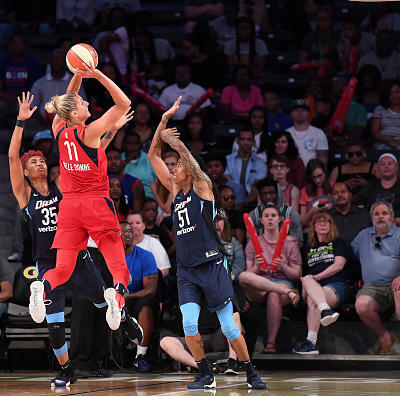 She struggled in her last game before the All-Star break, snapping a streak of seven consecutive games with at least 25 fantasy points on DraftKings. Jessica Breland is averaging 17.0 points, 10.0 rebounds, 4.0 assists and 3.0 blocks in two games against Washington this season. 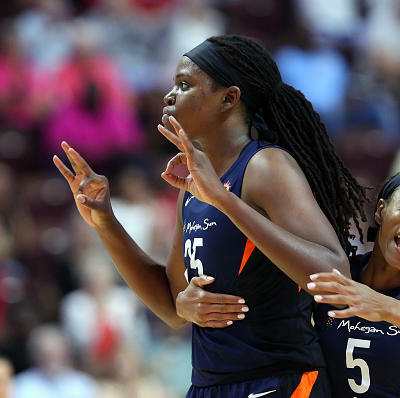 Natasha Howard, F, SEA $ 7,100 $ 8,300 For much of the season, Natasha Howard has been one of the best cash plays in the WNBA, but lately, she looks a lot more like a GPP option. She had 16 points, nine rebounds and five blocks against Indiana in her last game before the break, but she had just four points and six rebounds in each of her two games before that. 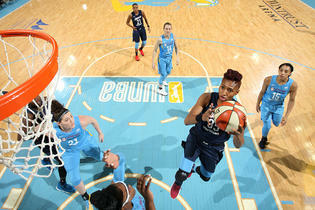 Glory Johnson, F, DAL $ 6,700 $ 7,100 Johnson has failed to top 10 fantasy points on DraftKings in just one of her last four games, and that was the second of a back-to-back. She has been better at home this season, and her playing time seems relatively safe. Elizabeth Williams, F, ATL $ 6,600 $ 7,200 Elizabeth Williams has played at least 30 minutes in five of her last seven games, including both games against Washington. 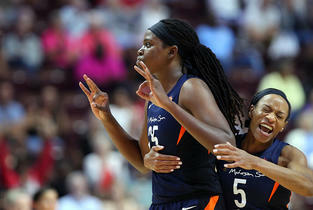 She is averaging 14.5 points and 7.0 rebounds over her last two games. 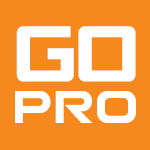 Kristi Toliver, G, WAS $ 6,300 $ 8,200 When it comes to mid-priced players for GPP lineups, Kristi Toliver is always a strong option. Her price is down after she scored six points on 2-8 shooting in her last game, but she had 19 points on 5-9 shooting in the game before that. Just don't expect quite so many assists with Natasha Cloud back. 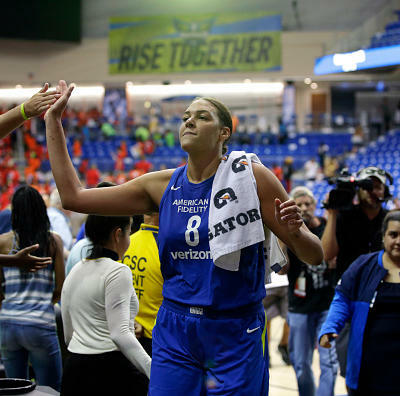 Stefanie Dolson, F, CHI $ 6,200 $ 7,700 My biggest concern for Stefanie Dolson is foul trouble. She played 29 minutes in both games against Dallas this season, and if she can defend Liz Cambage without fouling, she should contribute in multiple categories on the other end. 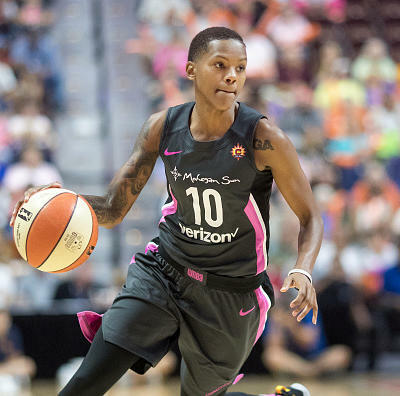 Kayla Thornton, F, DAL $ 5,700 $ 7,400 Thornton has scored at least 18.5 fantasy points on DraftKings in six consecutive games, with at least nine field goal attempts in five straight games. She should be pretty safe, but I like her upside as well. 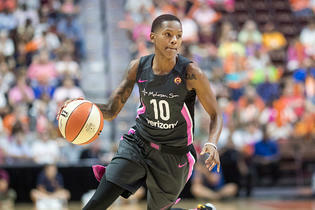 Allisha Gray, G, DAL $ 5,400 $ 6,600 Allisha Gray is always a cash game consideration, but she has been especially good against Chicago, averaging 11.5 points, 3.5 rebounds, 4.0 assists and 1.5 steals on 10.5 field goal attempts per game. 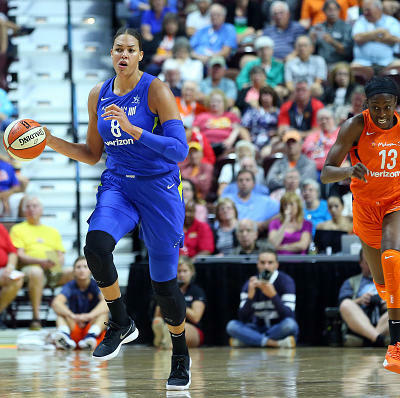 Gabby Williams, F, CHI $ 5,200 $ 5,500 Williams is averaging 21.4 fantasy points on DraftKings in 20.1 mpg in two games against Dallas this season despite shooting 35.7 percent from the floor. She feels pretty safe for this game, especially if the Sky are able to get out and run like they did last time they faced Dallas. Natasha Cloud, G, WAS $ 4,700 $ 6,500 Cloud is probable Tuesday after missing three games due to a concussion. She had scored at least 16.3 fantasy points on FanDuel in seven consecutive games prior to her concussion. 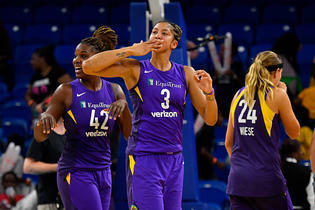 Tayler Hill, G, DAL $ 3,000 $ 3,000 If you are really desperate for a punt play, Tayler Hill has a pretty high ceiling and an opportunity for more playing time after she was traded to Dallas from Washington. That being said, we have no idea how she will be used by her new team, so don't let her anywhere near a cash lineup.